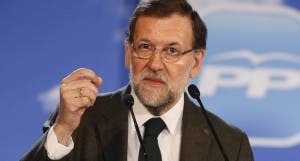 MARIANO Rajoy has been singing Malaga’s praises. Spain’s acting prime minister said it was ‘one of the cities with the brightest future in Spain’ during an interview with comedy news TV show El Hormiguero. His declaration follows a trip encompassing Malaga capital, the Costa del Sol and the Axarquia towns of Nerja, Rincon de la Victoria and Velez-Malaga. “Malaga is a place that is growing a lot, improving a lot and it is a city with an impressive level of culture and technology,” he said, while walking on a treadmill. One point – desertification, the aquifiers are running dry. de-sal water – at a price that no city can pay for long.